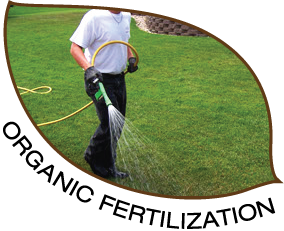 Organic lawn care is the best way to a lush, gorgeous lawn, and believe it or not, it is less work than a chemically treated lawn. Who wouldn't want a better-looking, healthier lawn with less work? An organic lawn is one that isn't drenched with herbicides, but that doesn't mean you have to deal with tons of weeds either! Correcting soil nutrition and balance, while improving cultural practices such as mowing and watering properly, will allow the grass to flourish and naturally suppress moss and weeds. The simple secret is really soil biology. Change how we treat it. Feed it and nourish it. Provide the right growing environment so it can thrive. It will take care of our grass like no chemical ever could! Soil life in grasslands and soil life in forests are opposites: Grasslands are bacterial-dominant, whereas forests are fungal-dominant. Our soils in Western Washington are naturally fungal-dominant, and therefore when we introduce more bacteria to our lawn, the soil life evolves to a more grass-friendly environment. Before: This lawn was nutrient deficient and overrun with weeds. After: With less than six months of treatment it now looks lush and green!